BREC’s Baton Rouge Zoo FrogWatch USA Chapter was awarded the Louisiana Wildlife Federation's Conservation Organization of the Year for 2018 in the Annual Governor’s State Conservation Achievement Recognition Program conducted by the Louisiana Wildlife Federation. Celebrating its 55th year, this awards program seeks to recognize those individuals, organizations and businesses that have made significant contributions to the cause of conservation and wise use of Louisiana’s natural resources. Frogs and toads play an important role as indicators of an ecosystem’s health. Many populations of amphibians worldwide have experienced decline in past decades. Participating in FrogWatch will provide volunteers the chance to provide valuable data that can be used to prevent future declines and to learn more about these fascinating creatures! This form of citizen science enables everyday people to get involved in formal conservation efforts just by committing to listen and learn in their own backyards. 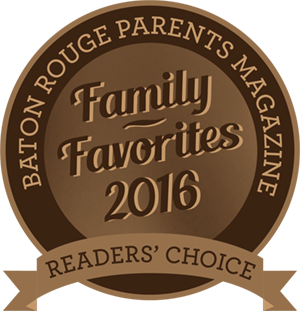 BREC’s Baton Rouge Zoo has been actively participating in this worthwhile effort with its FrogWatch USA chapter since 2016. To date, 94 trained volunteers have participated in this important conservation program, 12 wetland sites have been registered, 515 observations have been recorded, and 283 hours have been volunteered.